This is a sponsored post written by me on behalf of Groupon for IZEA. All opinions are 100% mine. I mean children and husbands everywhere need to start shopping for the perfect gift for mom (before she even asks! )….because that’s how it should work EVERY year! I admit…as much as I love getting a great gift from my kids and my husband on Mother’s Day, I often don’t have anything in particular that I want or need. But I’m sure that moms can all agree that there’s nothing worse than being forgotten or under-appreciated on Mother’s Day. 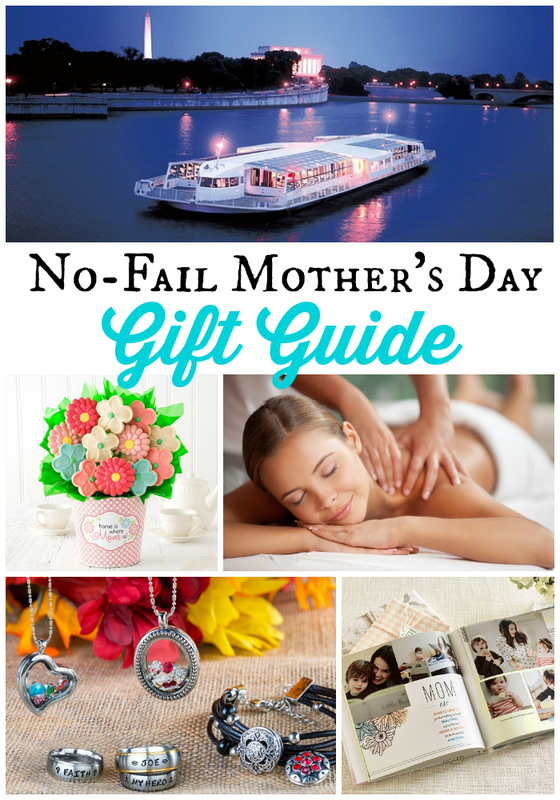 To make sure that Mom feels remembered, appreciated and loved this Mother’s Day, I’ve skimmed through Groupon’s Mother’s Day Gift Shop to find 5 perfect gifts to give mom this Mother’s Day. And since they are all such amazing deals AND they can be purchased with a click of a button online, there are NO excuses for any family members to drop the ball this year. Did you realize that Groupon had such an incredible Groupon’s Mother’s Day Gift Shop? I’ve bought event tickets, experiences, and fun and useful products on Groupon before, but I was LOVING the selection that they had for the Mother’s Day Campaign. I mean, it was as if someone had put together a Mother’s Day gift guide just for me. They’ve got everything from spa treatments (including nails and facials and more), local experiences, personalized jewelry and other gifts, photo-related gifts (like photo books, which are probably my favorite things to gift! ), edible gifts, and more. Personalized jewelry – What could be more perfect for mom this Mother’s Day than personalized jewelry? You combine two iconic gifts for moms: jewelry and personalized gifts. I love the personalized necklace that I have with the kids’ initials stamped on teeny little “dog tags.” Personalized gifts of any sort will help Mom remember the recipient whenever she uses or sees the gift. Bonus! Custom Treats – I love chocolate. Hopefully my family’s making note (as if they didn’t know that already). But I love even more when my desserts are in a beautifully arranged “package.” Just think of this as the next step above a bouquet of flowers. Spa Day – If you or your mom are anything like me, then you’ve probably got a sore back pretty much every day. Maybe, like me, you’re holding in a little too much stress. I know that I love receiving spa packages! Photo Books – One of my favorite gifts to GIVE is a photo book full of pictures, stories, and memories. Photo books take a little time prepare, so don’t forget to leave a little bit of time before Mother’s Day to be completely prepared. The gift of Experience – If mom doesn’t NEED anything right now, then give her the gift of EXPERIENCES. 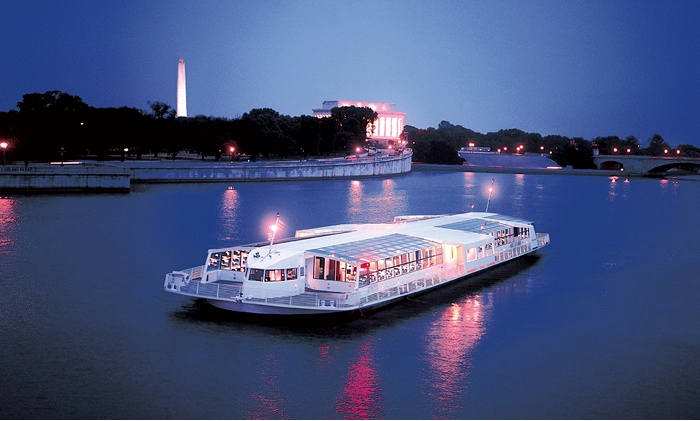 Groupon’s Mother’s Day page has hundreds of fabulous experience-based deals (like dinner cruises, concerts, and high-adventure outings like sky-diving), so check the shop to find the perfect experience opportunities waiting! One lucky mom to win a one-year’s worth of Spa Days on Groupon (in the form of $1,200 in Groupon Bucks, which they – or their mom – can use to experience the joys of free spa days for an entire year. Can you imagine the excitement if you won a YEAR’S worth of spa days? Imagine how relaxed you’d be at the end of the year. To find out more, check out the Mother’s Day $0 Deal for 1 Year’s Worth of Spa Days on Groupon. Groupon will also be sharing some amazing promo code discount offers during the Mother’s Day shopping span, so expect even greater deals to come on the site! Sometimes moms have to watch out for themselves a little…and it’s totally acceptable for moms to get a few of those wish-list items for herself (just in case, of course!). What would YOU buy yourself from the Groupon’s Mother’s Day Gift Shop? Groupon is a global leader of local commerce, offering consumers a vast marketplace of unbeatable deals all over the world. Shoppers discover the best a city has to offer on the web or on mobile with Groupon Local, enjoy vacations with Groupon Getaways, and find a curated selection of electronics, fashion, home furnishings and more with Groupon Goods. And now there’s the Groupon’s Mother’s Day Gift Shop, which will feature numerous ideas for perfect gifts and amazing experiences that will please any mom! Every mom deserves a special treat on Mother’s Day and Groupon is the answer that is both easy for the giftee and pleasing for the receiver!